A brief history of the Apple iPhone | What Hi-Fi? It's impossible to argue with the influence Apple's iPhone has had on the wider world, let alone the consumer technology industry. It's now been 11 years since Steve Jobs introduced the original iPhone to the world, and since then the brand has sold hundreds of millions of handsets. And this week we saw the latest additions, the iPhone XS, XS Max and XR. The first generation of iPhone (also called the 2G), introduces us to that now-familiar home button and a design that has more-or-less endured so far. New hardware features introduced with this second generation handset included 3G connectivity, while the App Store also made its first appearance with iOS 2.0. The 3GS was next on the list for Apple, with the handset coming a year after its 3G variant. There were a number of improvements, including an enhanced camera, faster performance and voice control. Apple tweaked the design of its smartphone with the launch of the iPhone 4 in 2010, with its slimmer body a noticeable feature. The A4 system-on-chip, FaceTime video chat service and Retina Display also made their first appearances. For this 2011 version, Apple simply stuck a letter at the end of its latest model to indicate the many changes it incorporated. The 4S came with the A5 chipset upgrade, a better camera and a first encounter with Apple's personal assistant, Siri, as well as integration with services such as iCloud and Twitter. The iPhone 5 was a "blink-and-you-miss-it" affair. Essentially a stopgap between the 4S and the 5C/5S models, it managed almost a full year before being discontinued. 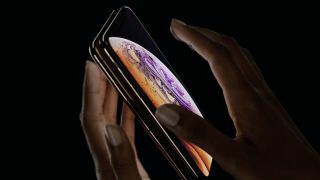 However, there were some notable changes, including a larger screen size and the launch of the Lightning connector. The iPhone's greatest seismic shift? The 5C and 5S saw Apple double its money on the iPhone brand, with the C regarded as the more affordable option. And more colourful, too. The 5C owed much to its predecessor, the iPhone 5, but left out some of the more expensive features that went into the 5S. Unlike the 5C, the 5S stepped up from the 5 with the introduction of the A7 system-on-chip (rather than the A6). New features included fingerprint identification, a new home button design with a laser-cut sapphire cover, and an updated camera with larger aperture and dual-LED flash. "The biggest advancement in iPhone" said Apple at the time of its launch. Both this and its sister model, the iPhone 6 Plus (below), featured Apple's A8 chip and a tweaked design, with the screen folding around to the aluminium casing for the first time. Apple finally caught up with its rivals by offering a bigger screen size in the 6 Plus. It went past the 5in display mark for the first time, and improved its camera with optical image stabilisation. With the iPhone 6S (and 6S Plus) updates, Apple travelled down the well-worn path of turning an already impressive handset into something even better. The 6S introduced a faster A9 processor, improved cameras (including a 12MP rear camera with True Tone flash), 4K video recording and 3D Touch technology. Vital Stats: 4.7in LED-backlit screen | 1334 x 750 resolution, with 326ppi | 138.3mm x 67.1mm x 7.1mm | 143g | Bluetooth 4.2 and wi-fi | 32 or 128 GB flash memory | 12MP rear camera with True Tone flash, 4K video at 30fps | 5MP front-facing camera with HD (720p) video. With the 6S Plus and 6S, Apple also introduced new storage options, consolidating the previous 16, 64 and 128GB variants into 32 and 128GB. Apple dropped a bombshell with the iPhone 7 (and 7 Plus) by removing the 3.5mm headphone jack. It featured Apple's new A10 Fusion chip with M10 motion coprocessor and added IP67 waterproofing, a redesigned home button and two new colours: Black and Jet Black. The 12MP camera also saw an upgrade, with the addition of optical image stabilisation and a Quad-LED True Tone flash. The 7 Plus had all the enhancements of its smaller sibling, but boasted superior camera specs. Its main camera featured both wide-angle and telephoto lenses. The iPhone 8 (and 8 Plus) had a new glass front and back design held together by ‘aerospace’ grade aluminium. It featured the new A11 Bionic chip and the first Apple-designed GPU, which was reportedly 30% faster than the previous A10. The iPhone 8 also had new speakers that are meant to be 25% louder and have ‘deeper bass’. Both the iPhone 8 and 8 Plus came in silver, space grey or a new gold finish, and Apple ditched the 32GB option. The 8 Plus had the same updates packed into a bigger handset, but its dual 12MP camera featured a new Portrait mode. The cameras on both phones also boasted faster autofocus in low light conditions. The models also supported wireless charging and playback of FLAC audio files. Apple's special 10th-anniversary flagship iPhone featured a larger 5.8in edge-to-edge OLED screen, ditched the Home button, and brought support for HDR10 and Dolby Vision. Along with the iPhone 8's specs, the iPhone X (pronounced 'ten') featured new tech such as Face ID (replacing Touch ID) for unlocking your phone and making purchases. There was also the 'Animoji' feature that animated... emojis. As is customary every other year, the iPhone XS (pronounced ten-s) doesn’t represent a seismic shift like its predecessor but it does still come with a smattering of upgrades. The XS gets the usual Silver and Space Grey variants but there’s now a Gold option, plus subtle updates to the steel and glass finish. There's a new Super Retina OLED screen, the latest A12 Bionic chip, updates to the camera tech and a slightly boosted battery, but this is evolution not revolution. Apple has also launched a more affordable, more colourful phone, the iPhone XR. Starting from £799, and available in six vibrant colours, the XR has a slightly stripped-down spec but for many people, this could be the most appealing handset. The camera doesn't come with all the bells and whistles and the LCD (not OLED) screen has a lower resolution, but there's the same new chip and the promise of an impressive battery life. If you're not hooked on the stainless steel design, the XR could make a lot of sense.